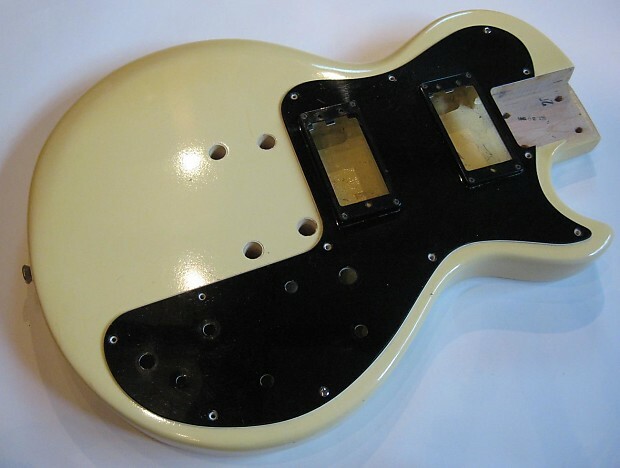 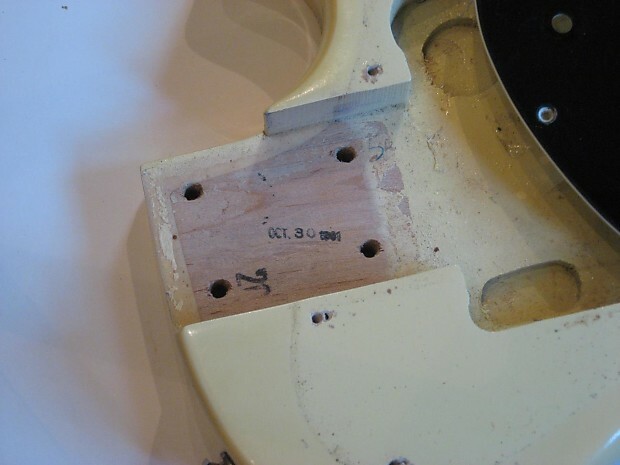 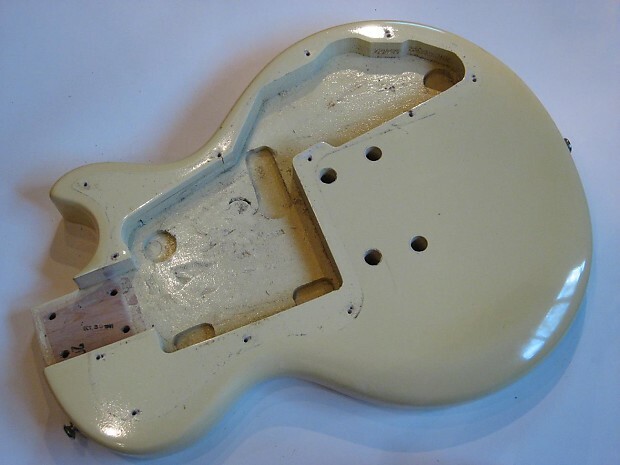 Judging by the slightly indistinct neck pocket date stamp we have a 1981 Gibson Sonex patented 'Resonwood' body in factory white, now decidedly cream. 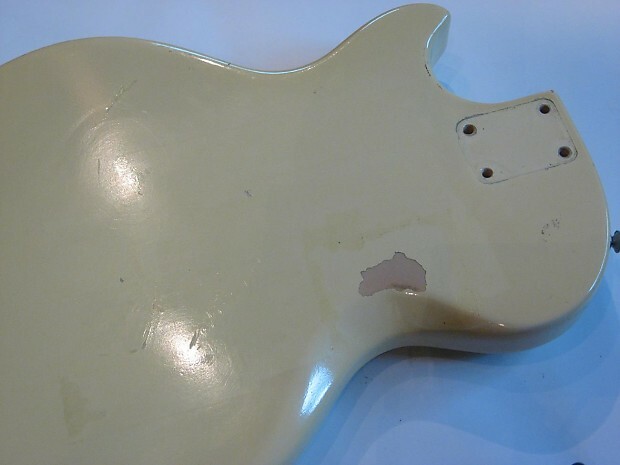 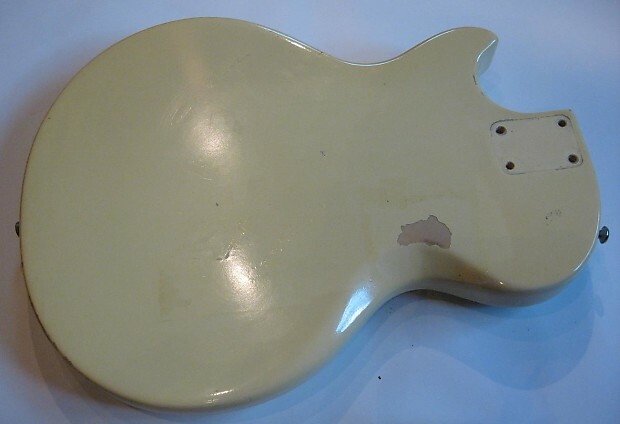 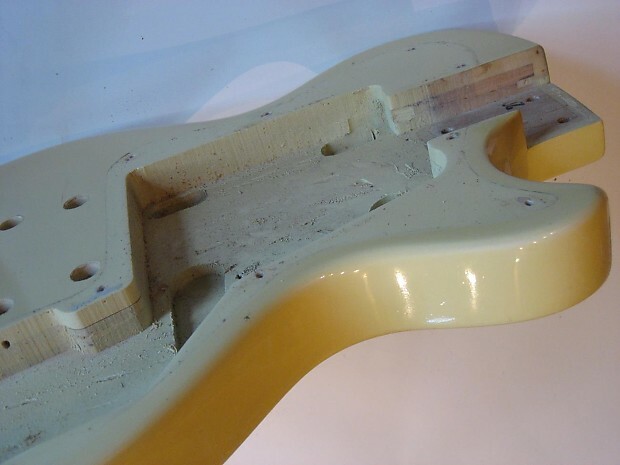 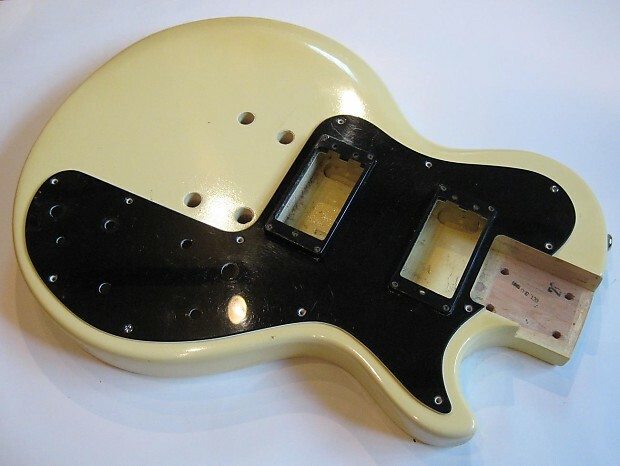 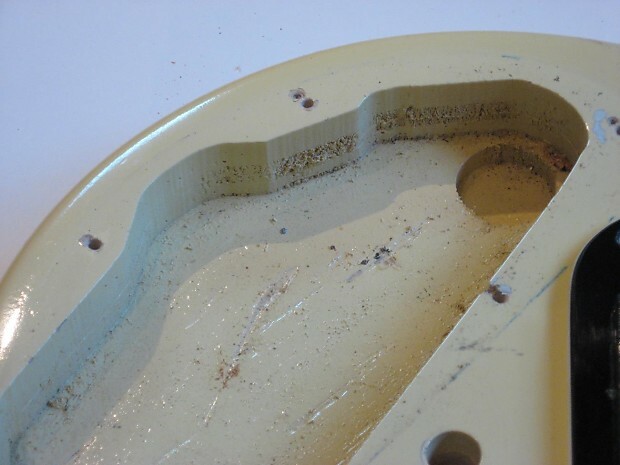 Unmollested and complete with the original scratchplate and strap buttons, the body is structurally sound, the factory finish is very thin and a little 'Orange Peely' in places, there is an area of finish missing to the rear and more surface marks to the back than is obvious on the front. 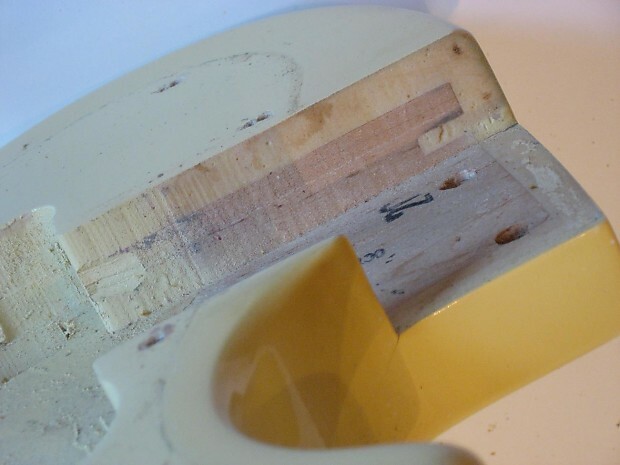 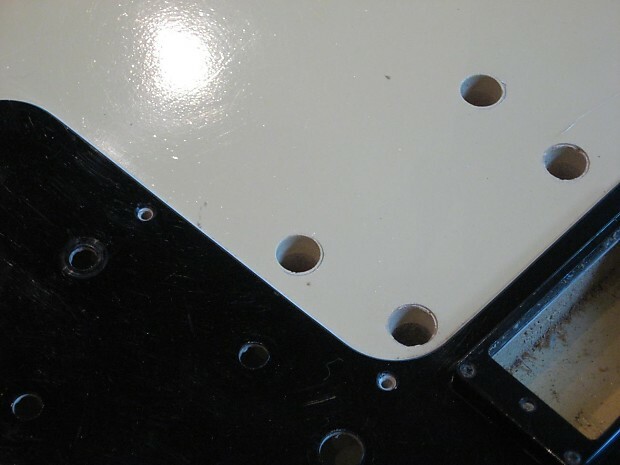 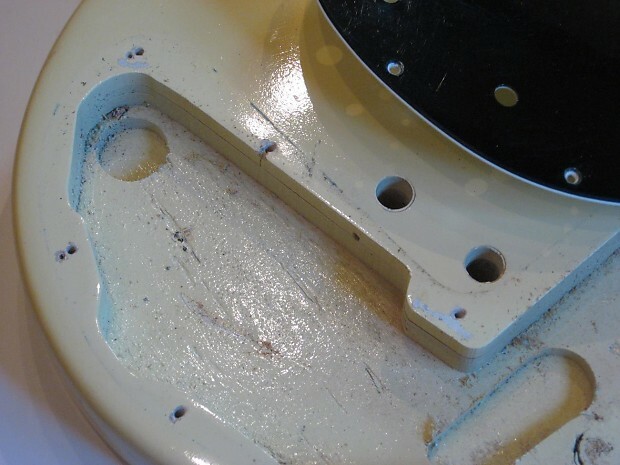 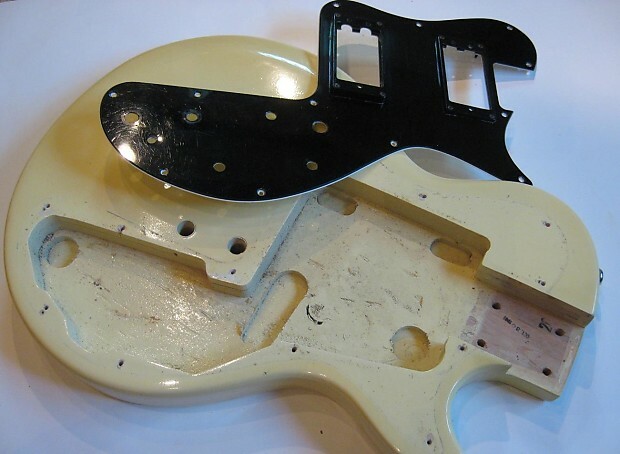 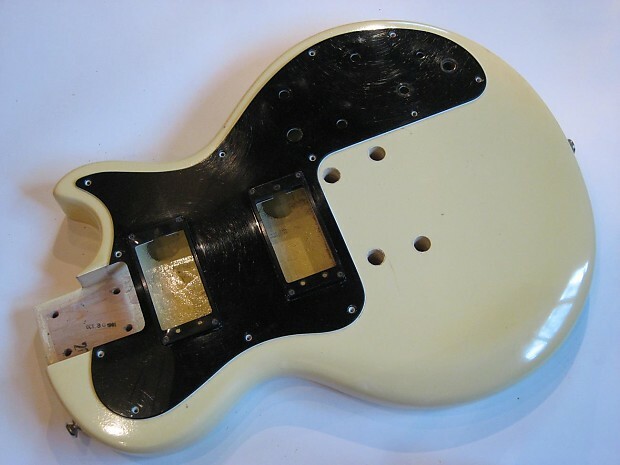 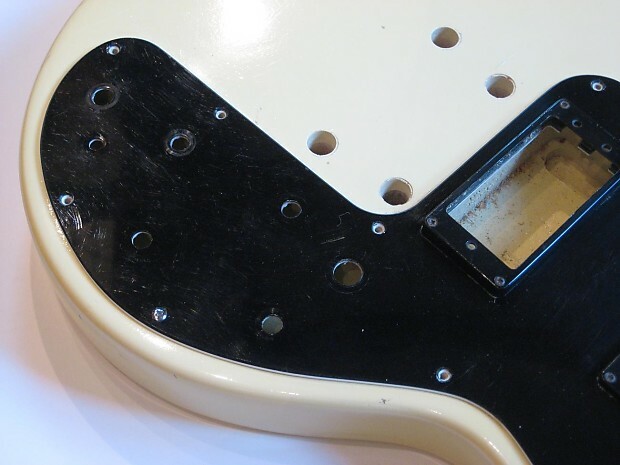 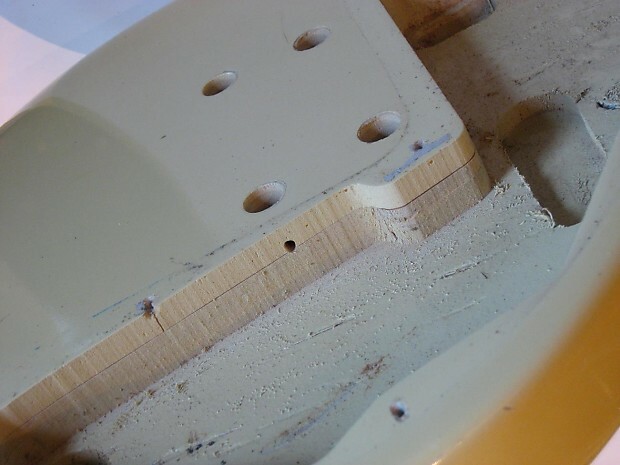 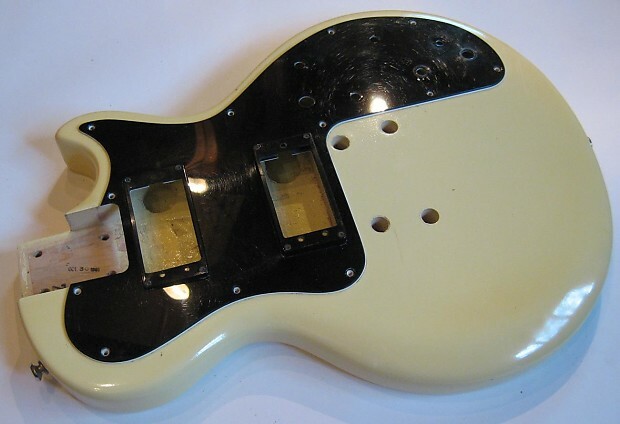 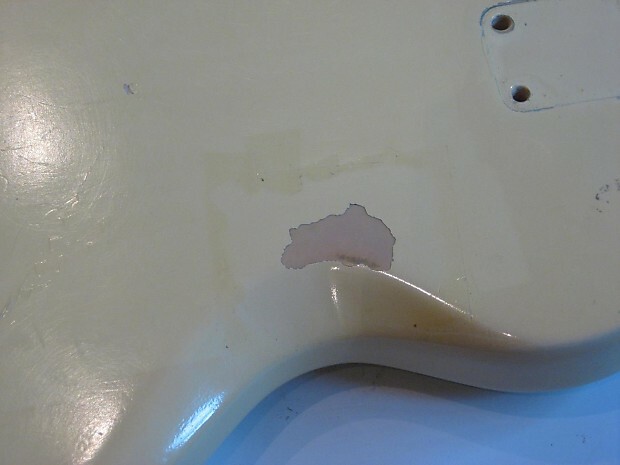 The pickguard has a hole for a micro switch, which is in the right location to be a factory coil tap switch as fitted to the Standard and Custom models, but in truth I can't say for 100% certain that its original.